Shopping – out of town or in? Aching Feet? Lots of Heavy Bags? Let Cabco take the strain. Cabco can take you and pick you up from the shops. Our drivers will help load your bags, and we will drop you at your door. Flying? – Holiday or Business? Whether flying for Business or Pleasure Cabco can take the strain out of the early starts, traffic problems. Give you that extra hour to work in comfort or relax and enjoy the start of your holiday much earlier. Don’t risk your licence. Leave the car at home. Call Cabco for door to door service. And remember, use our Textback service and you can stay where you are until we pull up outside. Cabco will send a text to your mobile to confirm your booking and then to confirm arrival of your taxi along with driver details. Off Racing? OR an Event? Call Cabco, for door to door service. And remember, use our Textback service and you won’t even have to leave your table until your taxi pulls up outside. 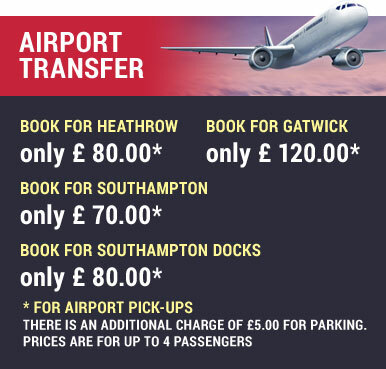 Cabco will ring your mobile to confirm your booking and then to confirm arrival of your taxi along with driver details. A romantic meal for two? Celebrating an anniversary? A meal with friends and family? Let us take the strain. We’ll be there rain or shine. Going to the Theatre? London? Special Occasion or Event? No need to wait outside in the rain. No need to wander the streets looking for that elusive late night cab. Order a taxi in seconds and track exactly when its arriving! Download the FREE App now! 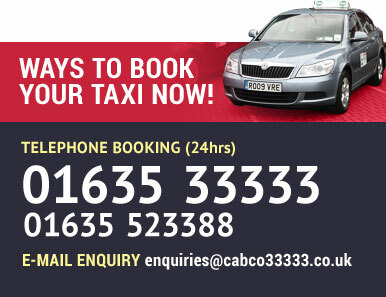 Cabco is one of the only taxi services in Newbury that mans its offices 24 hours a day, 365 days a year. Founded over 25 years ago, Cabco is West Berkshire’s Premier and Private Hire taxi operator. We cover Newbury, Thatcham, Hungerford and all other local and national areas. Cabco operates as a cooperative, with some sixty members operating almost 65 vehicles. Each vehicle is connected to our modern base in the heart of Newbury by a state of the art computerised despatch system. Cabco’s fleet of vehicles serve the whole community, from individual clients to some of the largest companies, not only in Newbury but also West Berkshire. We also operate Business Accounts with many local and national companies including train operators, coach service operators and insurance companies. You can also use your Credit or Debit Card in the taxi, to pay for your journey. All taxis are equipped with fully Chip & Pin enabled credit card terminals. Conditions apply. This is an efficient and easy to use facility that Cabco offers to all customers. This facility gives you ‘peace of mind’. NO MORE standing outside RESTAURANTS, CLUBS, PUBS or FLATS. It gives added safety to women and children and gives parents the reassurance that their son or daughter is being picked up by a fully licensed and registered Cabco Limited taxi. Activating Free Textback or Ringback is a simple process. Our brand new App will enable you to order a Taxi in seconds with a tap of your fingers. Track your vehicle and know exactly when it is arriving. Easy to pay in car by credit or debit card. Copyright © 2018 Cabco Limited, All Rights Reserved.